Harvard Forest Fellow David Buckley Borden MLA ’11 has installed public-art sculpture “Warming Warning” in Harvard’s Science Center Plaza, aiming to inspire both dialogue over climate change and viewer engagement with the shape-shifting, participatory exhibition. Borden collaborated on the project with Harvard Forest Senior Ecologist Aaron Ellison and Harvard’s Office for Sustainability and Common Spaces. The project is on display through December 7, 2018. 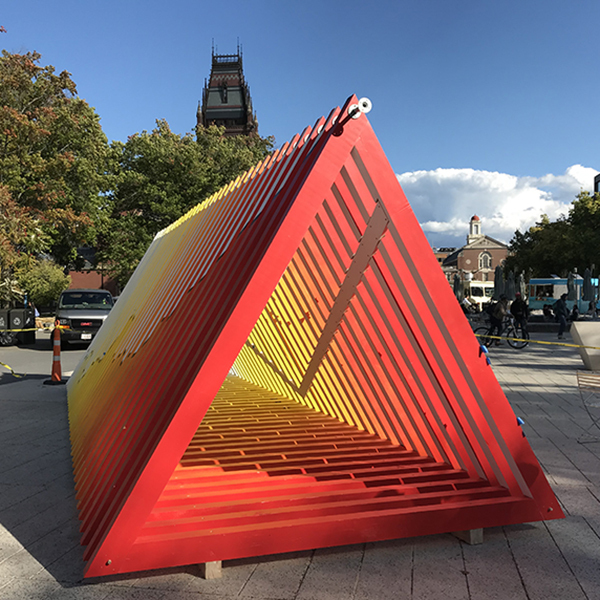 “Warming Warning” represents climate change as a series of painted triangles constructed from hemlock timbers that were harvested and milled at the Harvard Forest. The structure, which measures 28 feet long and 12 feet tall, experiences shifts in shadowing and color-spectrum vibrancy as the sun rises and sets throughout the course of a day. From its sides, the installation presents information about climate change: one side charts the rise in global-average temperatures since 1880, while another side presents four different future scenarios based on CO2 emissions. Harvard’s Office for Sustainability supports the project as part of the University’s ambitious climate action commitment, including new science-based goals striving to be fossil fuel-free by 2050 and fossil fuel-neutral by 2026. The model for the installation was on view at the Rhode Island School of Design this past spring, and at the Urbano Project as part of its “Proposed Futures; Then and Now” show. 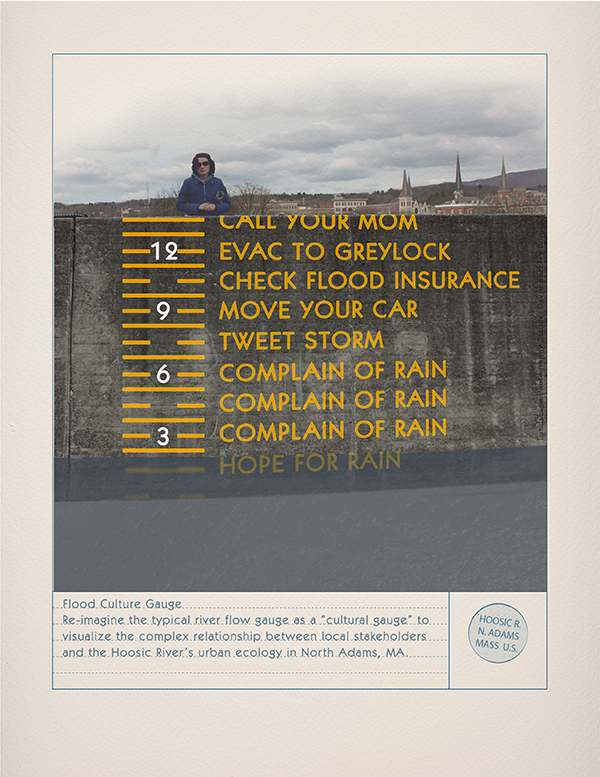 Visit “Warming Warning” through December 7, and follow the exhibit on social media via #WarmingWarning. LA-Más, the non-profit urban design organization focused on underserved Los Angeles neighborhoods and led by GSD alumna Elizabeth Timme MArch ’10, founder and Co-Executive Director, and Kennedy School alumna Helen Leung MPP/UP ’11, Co-Executive Director, has had an exciting and eventful year. 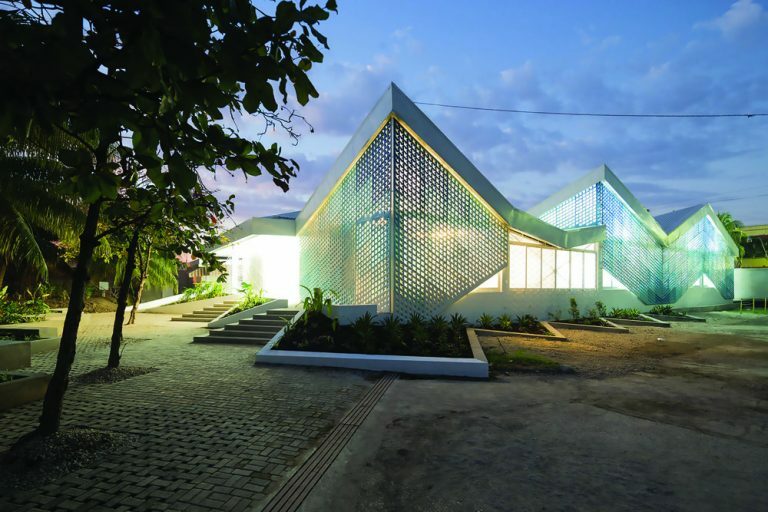 In March, The Architectural League of New York named the organization one of eight winners of its 2018 Emerging Voices award. The prize honors North American organizations and individuals with “distinct design voices that have the potential to influence the disciplines of architecture, landscape architecture, and urban design.” Timme is the first legacy winner of the award, with her father, Robert H. Timme, winning it in 1982. In July, LA-Más was featured on the cover of Metropolis as part of the magazine’s annual New Talent series, spotlighting practices across the design spectrum. 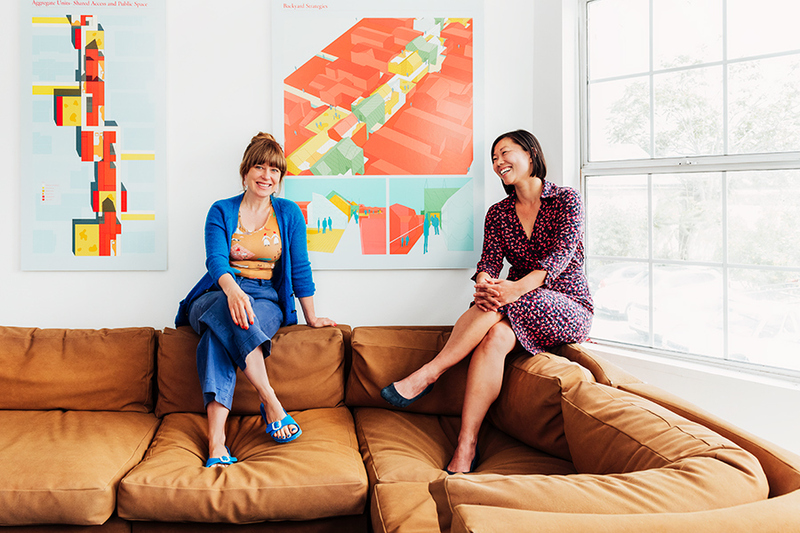 A few weeks later, LA Magazine selected Timme and Leung as two of 11 women who are “making LA a better place.” Most recently, Curbed profiled LA-Más’ work in LA’s Koreatown in the article “Whimsical improvements make Western more walkable.” The organization was also named a Groundbreaker by Curbed last year. In addition, LA-Más was selected this year as a Washington Street Civic Project Leader by Exhibit Columbus. 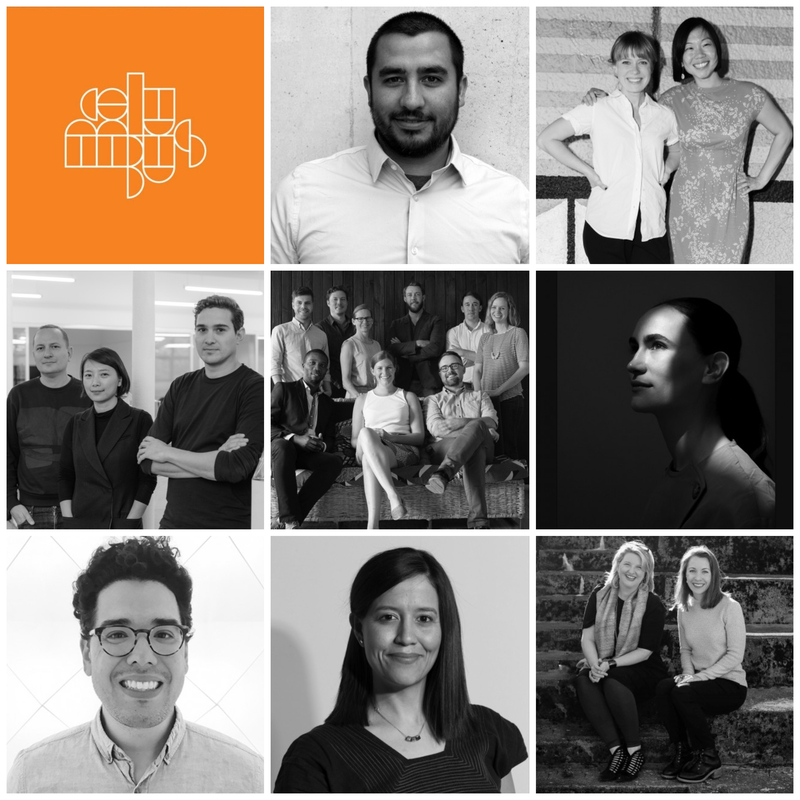 The award honors mission-driven organizations that use “architecture, art, and design to improve people’s lives, connect communities, and catalyze efforts to make cities more equitable and sustainable.” Read more about Exhibit Columbus and other GSD alumni recognized. Image courtesy of Brian Guido via Metropolis. “Mirage City Skyline,” a project by Mais al Azab’s MArch ’11, is currently featured at Venice Design 2018. The project was inspired by the Angolan artist Kiluanji Kia Henda who wanted to build a ‘Mirage’ city in the Jordan desert.  al Azab received an artist mobility grant from Le Fonds Roberto Cimetta for the project, allowing her to attend and present the work in Venice. It is on view at Palazzo Michiel through November 25, 2018. Photo courtesy of al Azab. 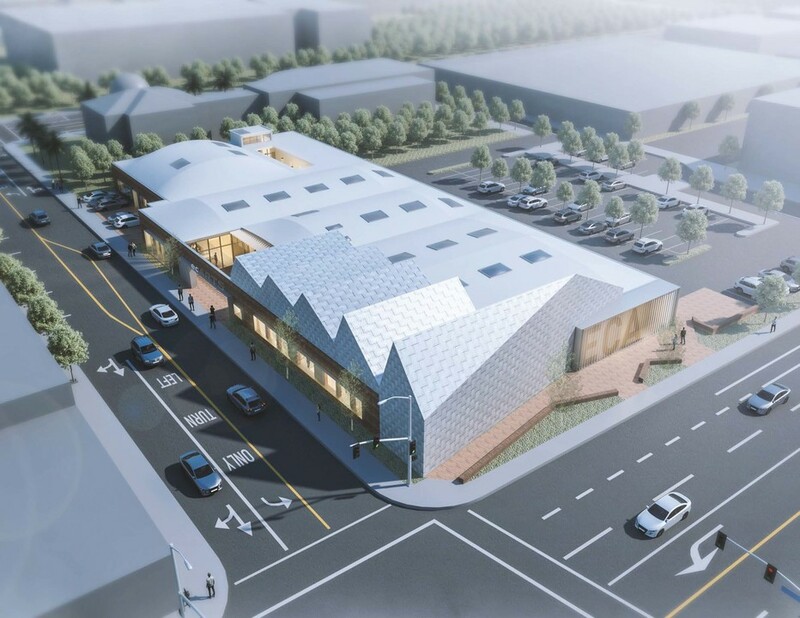 MSL and Company, LLC (MSL), a community-driven real estate development and advisory firm founded and led by Macy Leung MDes ’11, is one of three finalists to design and develop a new Emeryville Center for the Arts and Culture. The redevelopment aims to bring a mix of spaces–including galleries, commercial, community, and green space–to the City’s downtown. A decade in the making, the project is part of a partnership between the City of Emeryville and Pixar Animation Studios. MSL’s Board of Advisors include Nicolas P. Retsinas MCP ’71 and Brian Cunat AMDP ’09. Image depicts MSL’s proposed new Emberyville Art Center. Design credits: MSL/ Christy Ambrose/ Iwamotoscott/ Groundworks. Courtesy of MSL. 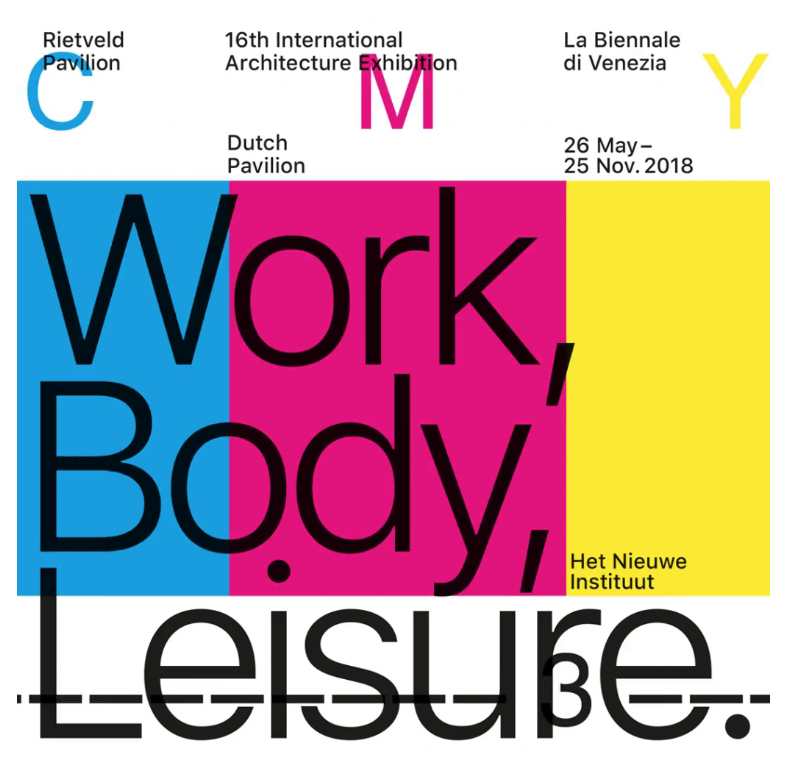 This year’s Dutch Pavilion, titled WORK, BODY, LEISURE, addresses the “spatial configurations, modes of living, and notions of the human body engendered by disruptive changes in labor ethos and conditions,” according to its website. It was commissioned by Het Nieuwe Instituut and curated by Marina Otero Verzier. On view through November 25, 2018. Image courtsey of the Het Nieuwe Instituut. 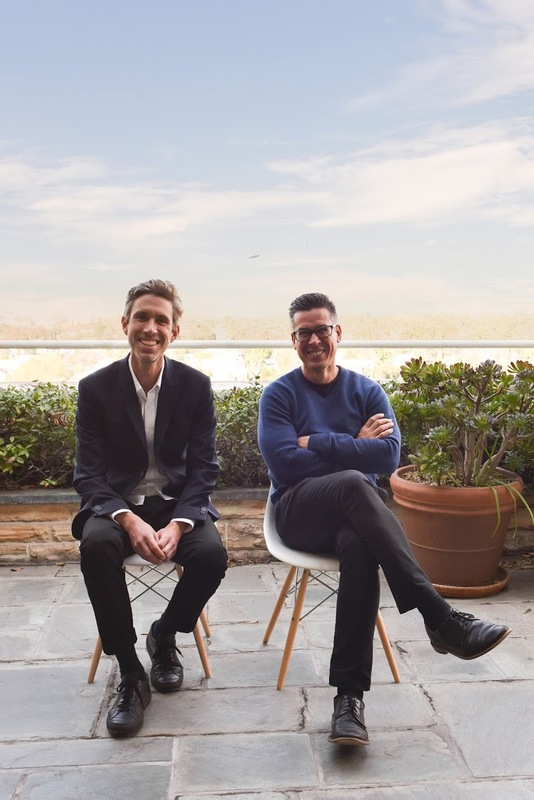 MASS Design Group, the firm co-founded by Alan Ricks MArch ’10 and Michael Murphy MArch ’11, is the recipient of a 2018 American Academy of Arts and Letters Architecture Award. The $10,000 prize is awarded annually to American architects whose work is “characterized by a strong personal direction.” For MASS Design Group “architecture is inextricably united to social equity,” noted juror Tod Williams. The firm “challenges architectural preconceptions,” focusing on “how architecture might be used as a tool for healing,” he continues. In addition to Ricks and Murphy, MASS Design Group is led by GSD alumnus David Saladik (MArch ’10), among others. The firm will receive their award at the Academy’s annual Ceremonial in May. Work by the winners will be featured in the Ceremonial Exhibition: Work by New Members and Recipients of Awards in the Academy’s galleries on Audubon Terrace. Image: Gheskio Cholera Treatment Center, in Port-au-Prince, Haiti. 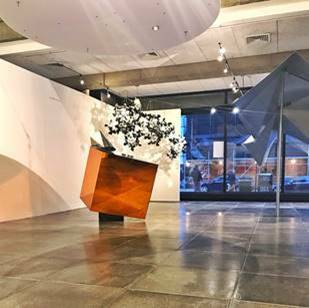 Technoecologies, a solo exhibition by Zenovia Toloudi DDes ’11/Studio Z, is on view now in Storrs Gallery at the University of North Carolina, Charlotte. 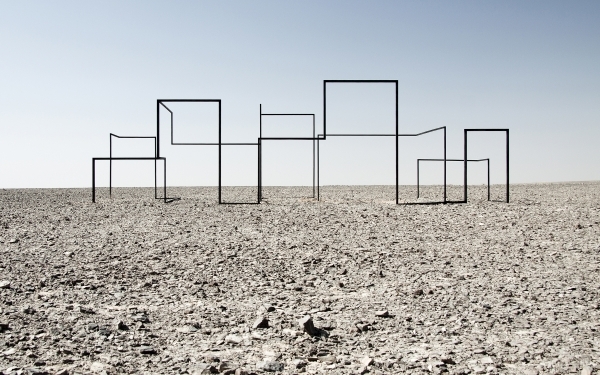 The show explores the relationship between humans and their environment in architecture. Toloudi is an architect, artist, and assistant professor of architecture at Studio Art, Dartmouth College. Learn more about the show. On view through March 2, 2018. Photos by Dimitris Papanikolaou. Courtesy of Toloudi. The Canadian Centre for Architecture (CCA) in Montreal has launched “Off:Re:Onshore,” an audio-documentary conceived and developed by Víctor Muñoz Sanz MAUD ’11. 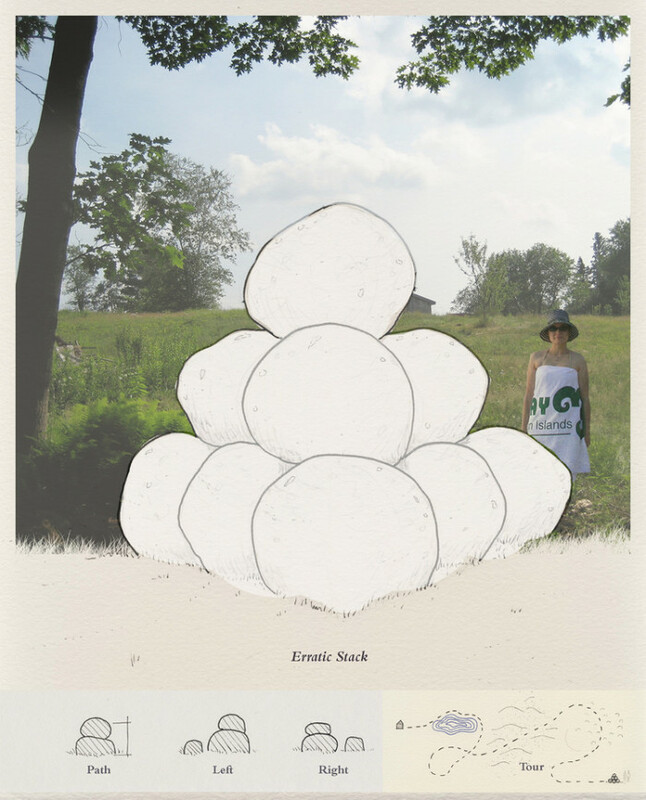 Created during his Emerging Curator residency at the CCA (2015-2016), the project explores “the legacy of industrial offshoring, the effects of corporate actions on the built environment of labour, and the role of architecture in bringing closer ideas of work and the good life.” It draws on research Sanz completed as the GSD’s 2011 Druker Fellow (learn more about his project, Networked Utopia: A Global Survey of the Urban Legacy of the Bat‘a Shoe Company’s Satellite Cities). Rahul Mehrotra MAUD ’87, professor of urban design and planning at the GSD, is featured. Find more information, including the audio file, here. 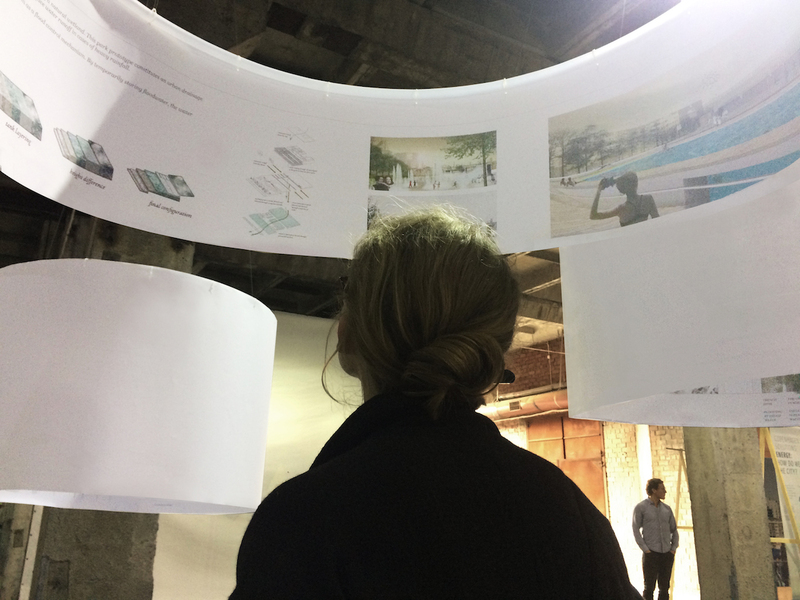 Constantine Bouras MAUD ’11, with collaborator Evita Fanou, participated in the Tallinn Architecture Biennale with the installation Water Circle[s]. The installation shows research on the issue of water management through a constructed equivalent of a natural wetland. The proposed park prototype constitutes an urban drainage corridor – with permeable surfaces – that decreases the rate, velocity, and volume of surface water runoff in cases of heavy rainfall. Katarzyna Balug (MUP ’11 and current PhD candidate in Urbanism and Architecture) is the co-curator of The New Inflatable Moment, on view at the the Boston Society of Architects Space through September 30, 2017. 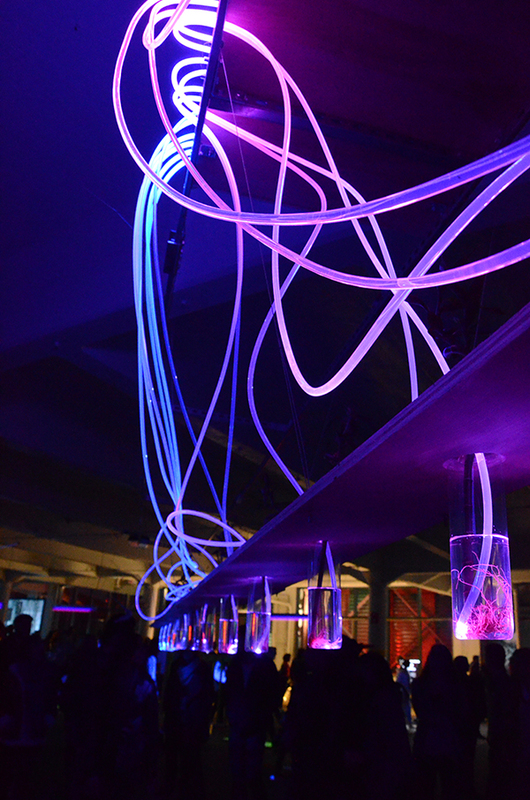 The show focuses on experimental and utopian practices that deploy inflatables, and how their imagination is informed by space technologies and innovations in engineering. On August 22 William Horgan from Grimshaw will describe the process of envisioning and creating the Eden Project in Cornwall (UK) which is featured in detail in the BSA Space exhibition. RSVP here. 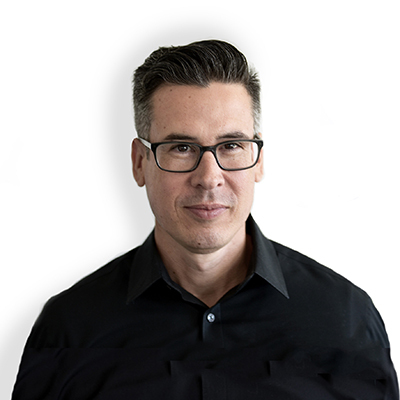 Jorge Colón MDes ’11, AIA, LEED AP, has been named the first Director of Interior Architecture and Design at Los Angeles-based CO Architects. 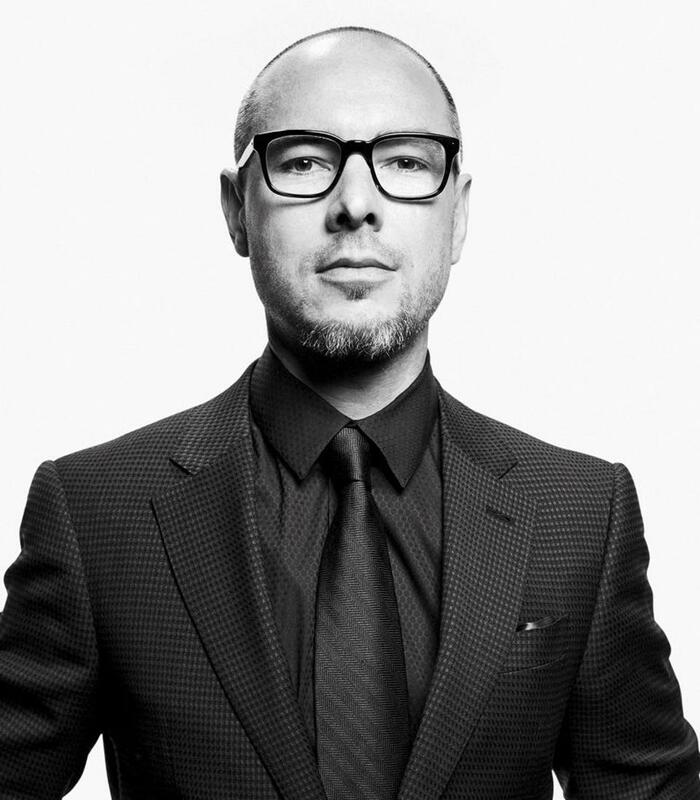 He brings more than 20 years of experience on a broad range of architectural projects, including running his own firm, LÓNdesign. Colón has also lectured, taught, served on design juries, and led student tours of cities in the United States and Latin America. Read the full press release. Photo courtesy of CO Architects. 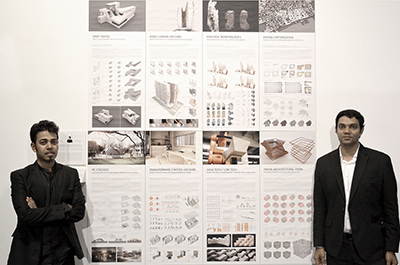 MASS Design Group, the Boston-based design collaborative co-founded by Alan Ricks MArch ’10 (shown second from the right) and Michael Murphy MArch ’11 (shown at center), has won the 2017 Cooper Hewitt National Design Award for Architecture Design. 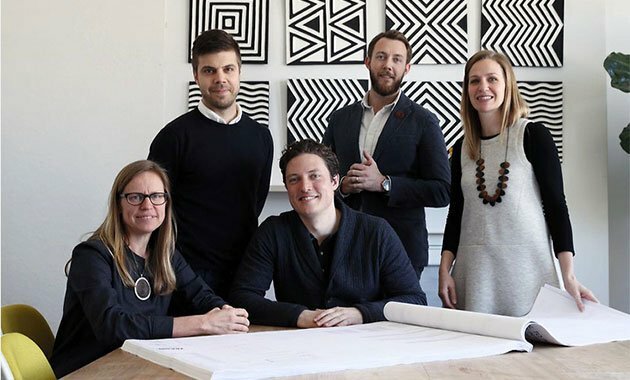 The practice’s leadership team includes Director of Design David Saladik MArch ’10 (shown second from the left). “This incredible distinction places us in the company of many of the designers we find most inspiring in America and we could not be more honored to be chosen among them,” MASS said in a statement. Now in its 18th year, the Awards honor “design as a vital humanistic tool in shaping the world, and seeks to increase national awareness of design by educating the public and promoting excellence, innovation, and lasting achievement,” according to the program’s website. 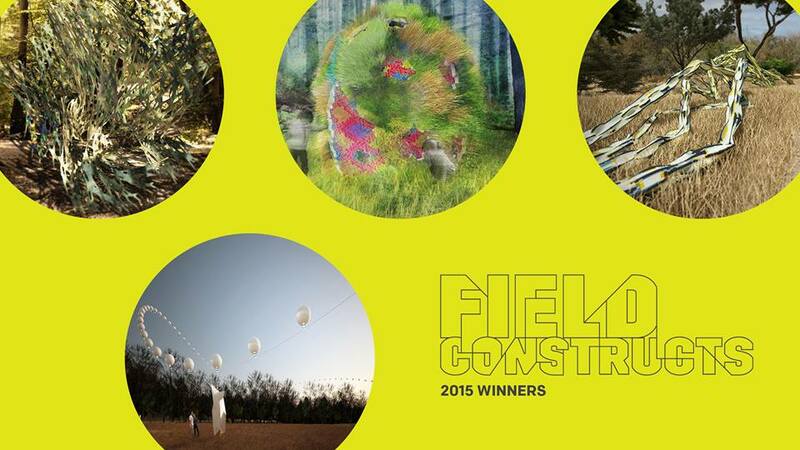 Read more about MASS and the National Design Awards. Read more about Murphy’s AIA keynote address. Image courtesy of Trumark Urban. David Buckley Borden MLA ’11 is a 2016/2017 Charles Bullard Fellow in Forest Research at the Harvard Forest where he explores the question, “How can art and design foster cultural cohesion around environmental issues and help inform ecology-minded decision making?” Over the course of the year, Borden is creating a variety of art and design driven science-communication projects with ongoing research initiatives and contributing to the Harvard community through applied creativity, workshops, talks, and exhibitions at the Harvard Forest and beyond. Borden’s Fellowship program employs a model of stewardship that merges aesthetics, environmental awareness, and communication media. Learn more about his work as a Charles Bullard Fellow here. Photo by Rose Lincoln/Harvard Staff Photographer, courtesy of the Harvard Gazette. Constantine Bouras MAUD ’11, with Evita Fanou, Electra Kontoroupi, Ioannis Oikonomou, Foteinos Soulos and Dimitra Tsachrelia, organized and curated “A Shelter for Architecture,” for the Greek Institute of Architects in New York [GIANY]. 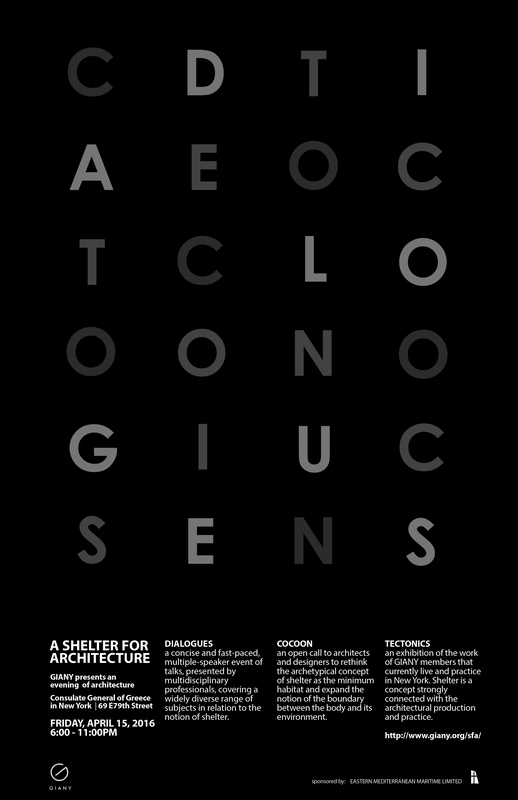 The event negotiated the general discourse on shelter and explored the idea of shelter as a concept through diverse lenses. 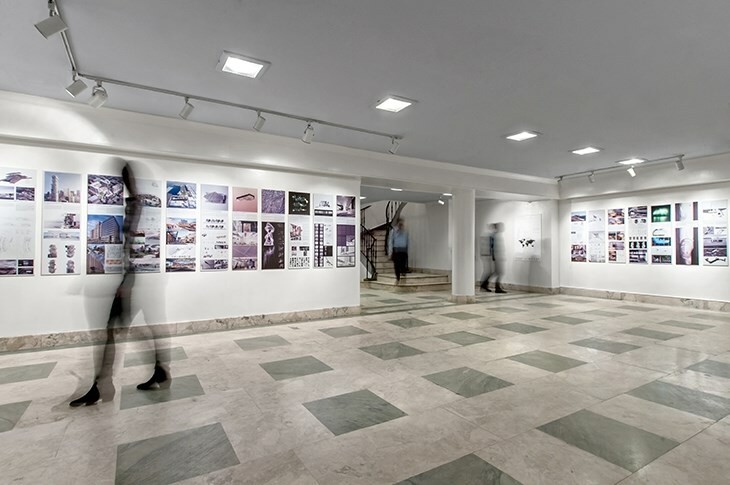 “A Shelter for Architecture” staged events ranging from architectural exhibitions to talks and presentations, artistic performances, and installations. Ignacio G. Galan MArch ’10, Nikos Katsikis DDes ’16, Dimitris Papanikolaou DDes ’16, Zenovia Toloudi DDes ’11, Dimitris Venizelos MAUD ’15, and Christina Yessios MAUD ’11 were among the contributors to the event. Constantine Bouras MAUD ’11, with Evita Fanou, Electra Kontoroupi, Ioannis Oikonomou, Foteinos Soulos, and Dimitra Tsachrelia, curated the exhibition GRE►NYC for the Greek Institute of Architects in New York [GIANY], an exhibition of projects by young Greek architects practicing in New York. Mr. Bouras, Christina Yessios MAUD ’11, and Ioannis Kandyliaris MArch ’08 were among the contributors to the exhibit. Davis Buckley Borden‘s MLA ’11 exhibit “Landscape Proposal Per Day” is currently on view at Voltage Coffee and Art in Kendall Square, Cambridge. David’s work is being showcased as part of the Artclash Collective’s Boston Fun-A-Day 2014 group show. The exhibit runs through April 5, 2014. 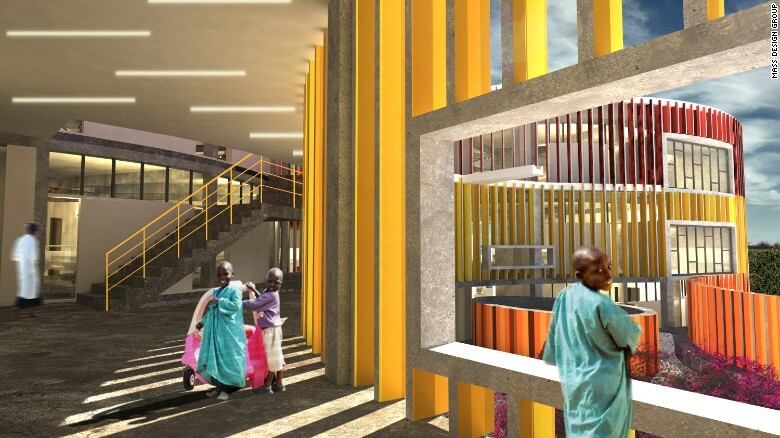 The MASS Design Group, co-founded by Alan Ricks MArch ’10 and Michael Murphy MArch ’11, was honored with a Buro Happold Effectiveness Award 2013 for their Butaro Doctor’s Housing in Rwanda. Presented each year by World Architecture News, the award recognizes and celebrates designs which have made a positive impact on society. The Butaro Doctor’s Housing provides invaluable on-site physician housing in an area where doctor retention is a constant challenge. After opening in 2012, the four duplexes have inspired dignity, fostered community and fomented sustainability of the Burera District’s rural healthcare system. In addition, Michael was featured in the November issue of The Atlantic. The magazine asked leading figures in technology, science, medicine and design for nominations on who they consider to be today’s greatest inventors. Designated by Tim Brown, CEO of Ideo, Michael was amongst a group of distinguished nominees. Including Janette Sadik-Khan (commissioner, New York City Department of Transportation), Jack Dangermond (founder, Environmental Systems Research Institute), and Jeff Bezos (founder and CEO, Amazon). 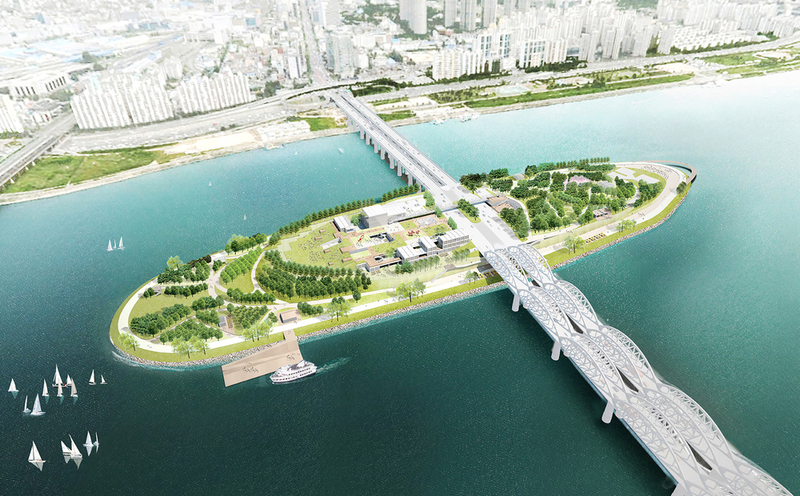 Jihoon Kim MArch ’10, Pilsoo Maing MAUD ’11, Donghwan Moon MAUD ’11, and Taehyung Park MLA ’14 of Studio MMK + P have recently won an international competition by Seoul Metropolitan Government—the International Competition for Nodeul Dream Island. Nodeul Island is an artificial island situated on Han River in Seoul which has been abandoned and forgotten for about 40 years. 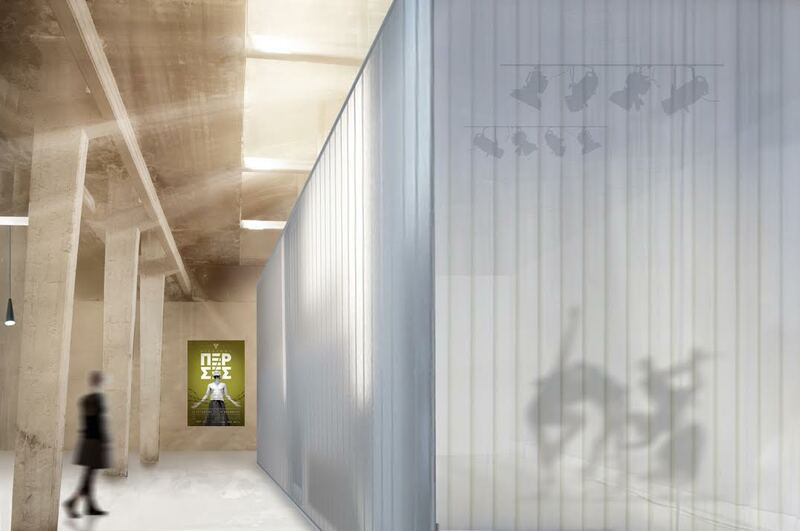 The team will work on this symbolic project starting in August 2016. A proposal from Kimberly Garza MLA ’11 and Andrew tenBrink MLA ’10 of ATLAS Lab to activate Sacramento’s riverfront, The Dune, was selected as the winner of the Pitch for Change competition. Pitch for Change is part of the Emerge Summit Conference (largest young professional conference in Northern California), organized by the Sacramento Metro Chamber’s Metro Edge Young Professionals program. The proposal is featured in Sactown Magazine. Additionally, ATLAS Lab donated Peak Experience (pervasively displayed at the Market Street Prototyping Festival) installation to Playland at 43rd Ave. Playland at 43rd Ave. is part of San Francisco’s ‘Pavement to Parks’ initiative to test the possibilities of underused areas of land by quickly and inexpensively converting them into new pedestrian spaces. Read more here. Also, ATLAS Lab received ASLA Northern California Chapter Merit Award for Peak Experience landscape installation. MASS Design Group, founded by Alan Ricks MArch ’10 and Michael Murphy MArch ’11 , was recently featured in the CNN article “‘Bauhaus Of Africa’ Promises New Golden Generation Of Design Talent.” “The African Design Center will open its doors in Kigali, Rwanda later this year, courtesy of international architecture behemoth MASS Design Group, tasked with training a new generation of architects capable of building the continent’s future,” writes the publication. 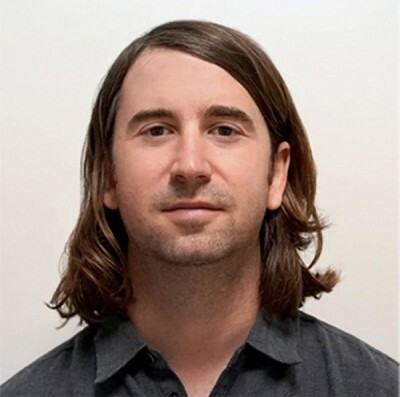 David Buckley Borden MLA ’11 has been award a Studios at MASS MoCA / Assets for Artist residency. 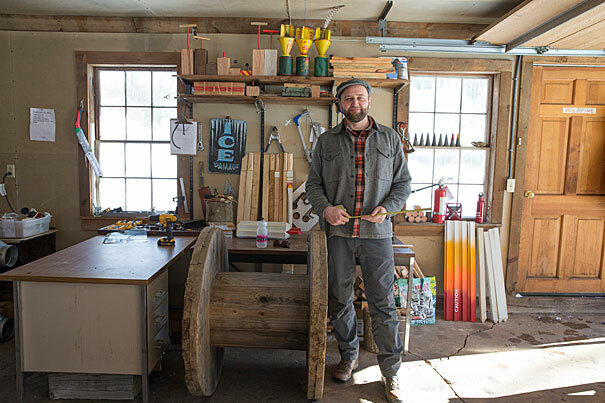 Mr. Borden’s place-based art and design project explores the urban ecology of North Adams with a focus on the cultural relationship between local residents and the Hoosic River. Informed by research and community outreach, Mr. Borden’s project aims to highlight both pressing environmental issues and everyday phenomena by means of accessible art and design. Kera Lagios MArch ’10, Jon Sargent MArch ’11 and Jeff Niemasz MArch ’11 are members of the company Solemma, known for developing the DIVA-for-Rhino software plug-in, which started as a research project at the GSD led by professor Chrisoph Reinhart. 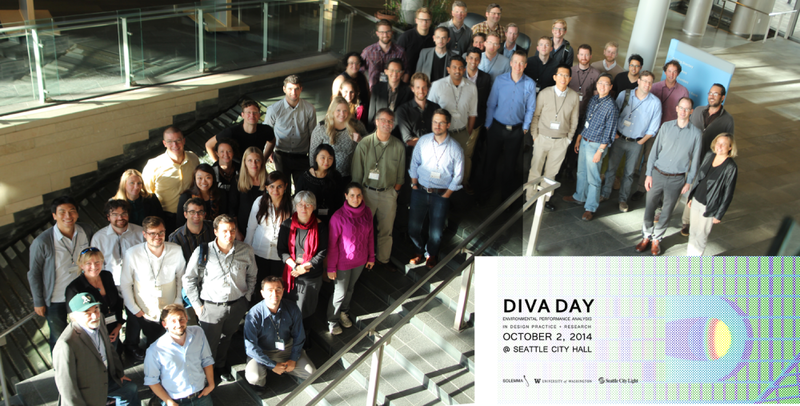 On October 2, 2014, Solemma will be hosting the 3rd DIVA Day Environmental Technology and Design Symposium in Seattle, WA. Alpa Nawre MLAUD ’11 and Christina Milos MLA ’11 have been awarded the inaugural Mellon Fellowships in Urban Landscape Studies at Dumbarton Oaks Research Library and Collection in Washington, D.C. Ms. Milos is currently engaging in her studies at Dumbarton, exploring Nigeria’s productive landscapes and how they can engage in future urbanization processes. 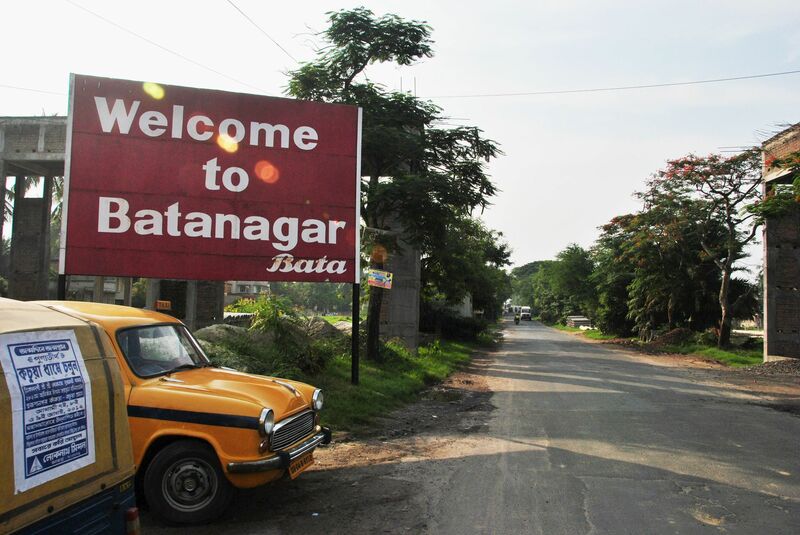 Ms. Nawre will study at Dumbarton in Spring ’16, where she will document the multi-functional use and adaptability of the water landscape systems in India–of ponds, and river and canal edges which compel the rethinking of the design of rigid, mono-functional, and culturally-disconnected urban water infrastructure today. Read more and see the full list of Dumbarton fellows here. 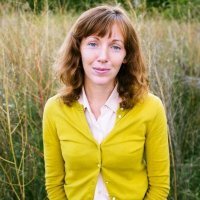 Erin Kelly MLA ’11 has recently joined the City of Detroit’s Planning and Development Department as the Lead Landscape Designer in the Office of Strategic Planning. She is excited to continue her work operationalizing land revitalization in Detroit through this new role. Erin began working in Detroit through the GSD’s Community Service Fellowship in June 2010. Listen to a podcast about one of Erin’s recent projects, the Field Guide to Working With Lots (www.DFC-lots.com) here. 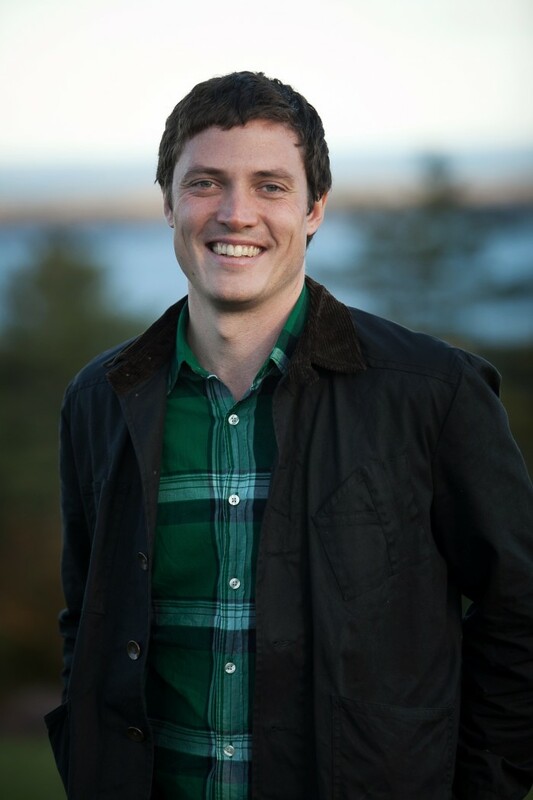 Andrew Zientek MLA ’11 joined Weiss/Manfredi as a Senior Project Architect to help lead projects that reside at the intersection of landscape and architecture. 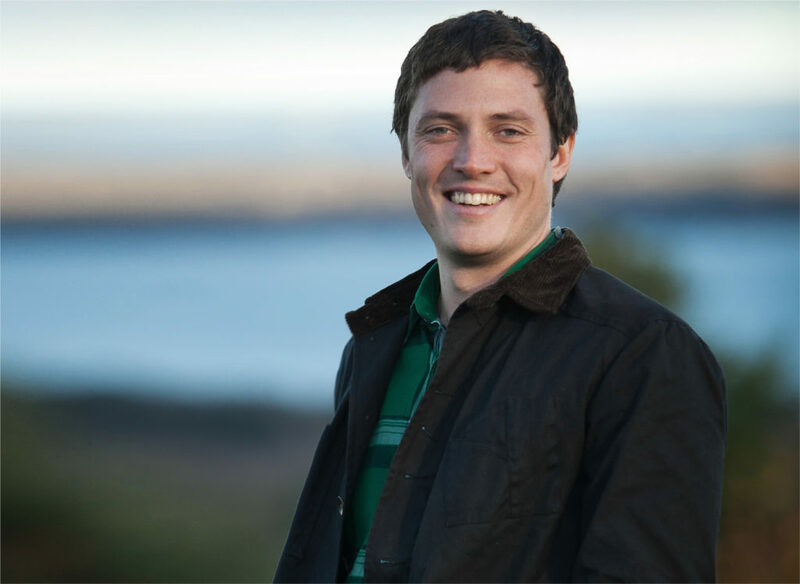 For the past five years since graduating, Andrew has balanced teaching (GSAPP, GSD, CCNY), a landscape architecture office, and a studio art practice. Michael Murphy MArch ’11 presented at the annual TED conference in Vancouver. In this eloquent talk, entitled “Architecture that’s built to heal,” Murphy shows how he and his team look far beyond the blueprint when they’re designing. Considering factors from airflow to light, theirs is a holistic approach that produces community as well as (beautiful) buildings. He takes us on a tour of projects in countries such as Rwanda and Haiti, and reveals a moving, ambitious plan for The Memorial to Peace and Justice, which he hopes will heal hearts in the American South.